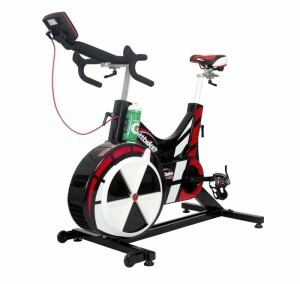 The Wattbike has become a benchmark testing and training tool used by cyclists, triathletes, professional rugby and football clubs, British Rowing, British Cycling etc. 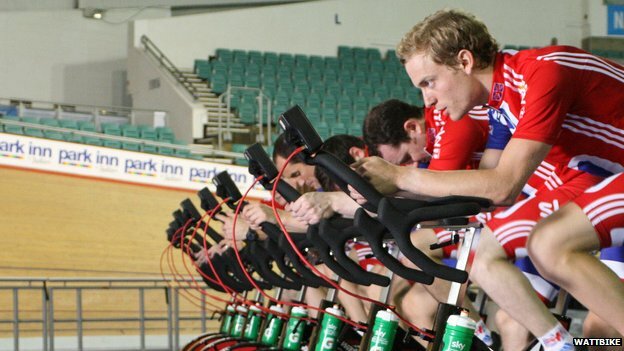 It was developed in conjunction with British Cycling to provide a reliable and accurate way of assessing key fitness parameters, and an efficient way to establish and re-evaluate an individual athletes training zones and progress. Using training zones is one of the smartest ways to provide structure to your training plan in order to achieve your goals. It’s not just about cold numbers though, they have to mean something to you, whatever level of experience, and they have to provide you with practical guidance and ideas as to where your strengths and weaknesses are. Re-evaluation is also key… “making your numbers” and going on to better them is at the core of progressive training… and it can be fun. 3 Minute Aerobic Test: To determine your overall aerobic capacity. The absolute average power and maximum heart rate measured during the test are used to establish your maximum minute power (MMP), maximum heart rate (MHR), power to weight ratio, VO2 Max estimate. Training zones are calculated, discussed and provided in heart rate, power (watts) and MET criteria. Peddling Technique Testing: Using the Wattbike and the softwares unique polar view technology, your pedalling technique is assessed and displayed on the large screen. Analysis can be made of left and right leg symmetry (50/50 balance), peak angles of force applied to the crank, and the overall force “shape” that your own technique produces. Different set-ups can be explored… road, time trial, aero, sprint postures. Peak Power Test: an explosive test (6 sec individual intervals) of peak power production. Establishing the maximum short duration power you can apply on a bike and measured in overall watts and power to weight ratio. 20 Minute Threshold Test: Often built around the 3min aerobic tests results, this 20 min test is aimed to be conducted at 75-80% of your MMP. It can measure and track your ability to sustain a high percentage of maximal aerobic power. Your 60 minute Functional Threshold Power can be calculated, particularly useful for triathletes, trialists and endurance cyclists. Subsequent training zones and thresholds will be calculated. 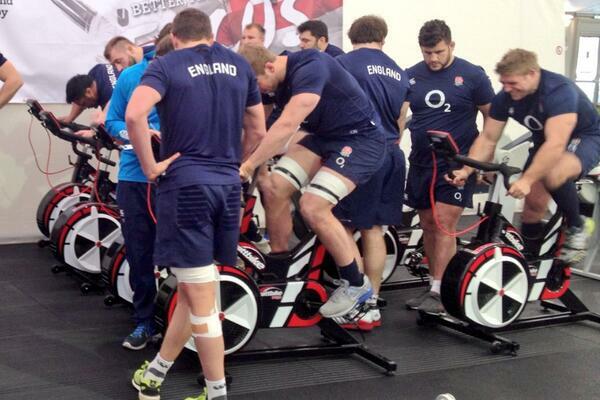 Ramp Tests: Storer, British Cycling and Wattbikes own ramp test protocols can be used to measure aerobic capacity. The starting power for this progressively increasing test is established via a prior 3 min test, age group, gender and previous performance results. The 1 minute intervals of wattage increase “ramp” up until a maximum minute power (MMP) and max heart rate are achieved in the final minute. Power to weight and VO2 max is also recorded, and athlete specific training zones established. Distance/Time Trials: Some athletes may be particularly interested in their physiological and power performance over defined distances and timescales. 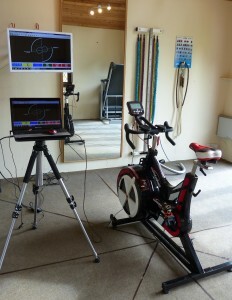 Performance analysis parameters can be dialled into these tests via the Wattbike Expert software. Progress/Recovery/Rehab: Review sessions during training periods, return to sports testing, and rehabilitation evaluations can be provided. Not as complicated as it sounds! It can appear over scientific and daunting, but using these sessions and the information they gather is not at all complex. For the less experienced it will help them do the basics better, and for the more experienced, it can help them analyse and adapt their established training programmes. Wattbike testing is definitely not just for cyclists and compliments the work we do with our video analysis, video coaching, runners, triathletes, and testing within other sports. It is also a valuable rehab and return to sport tool. At our studio we have a latest generation Wattbike Pro bike, set up with mirrors, large screen monitor and running Wattbike Expert analysis software. It provides a focused but relaxed environment to come and test yourself, and work towards setting and achieving training benchmarks. No distractions, totally reproducible, and perfect for accurate re-testing in order to evaluate your progress during a training period/year. For Physical Solutions free athlete resources, pace calculators, length and lap charts and additional information on training zones, power and Wattbikes please click the button below.